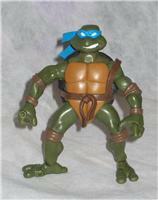 TMNT Leonardo from 2003 but from what series? I know he is a Teenage Mutant Ninja Turtle. 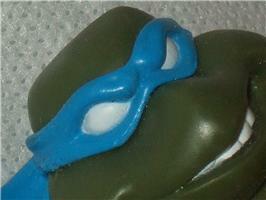 I know he is Leonardo. But I am trying to pinpoint the series he comes from. He is mark as being produced in 2003 but none of the figures pictured from 2003 match him as he has a distictive face mask that has a furrowing brow plus the loose ends sway to the left while everything pictured has the ends swaying to the right. 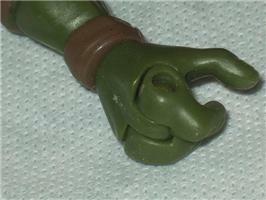 Also, his hands and feet have jointed fingers and toes.